Eye Etc. has been a part of the Little Five Points landscape since 1980. Always independent, the practice has had only three owners. The current owner is Dr. Colay White O.D. Our approach to eyecare is simple – create a relationship with our patients. 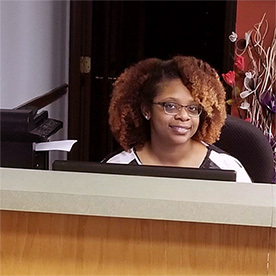 Dr. Colay White O.D and her staff believe this is best done by providing a welcoming, professional environment, thorough and comprehensive vision care, and premium lenses, frames and contact lenses to meet your needs. Our goal is to develop a long-term relationship with our patients, who have expressed time and again their thanks and appreciation for what we do and how we do it. We will always offer what's best for you, making sure we get it right. We are proud of our personalized service and we will always stand by the high quality products we offer. Greetings to all I would like to introduce myself to all patients of the fabulous Eye Etc. Optometry Practice located in the historic Little Five Points area of Atlanta, Georgia. 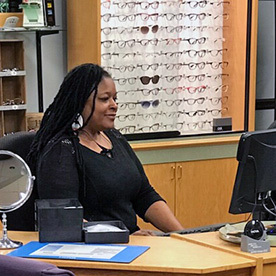 My name is Dr. Colay White O.D and I have been practicing optometry a little over seven years in and around the Atlanta area. I received my Bachelor’s degree in Biology from Georgia State University in 2005, and my Doctoral degree from New England College of Optometry in 2010. 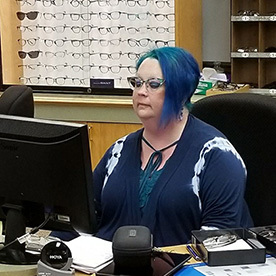 I have been trained in a variety of areas of optometry including pediatrics, specialty contact lens fitting including gas permeable and hybrid lenses for kerataconic patients. I also studied at a Lasik center in which I have co managed patients having Lasik and PRK procedures. I have also worked with a number of ophthalmologist for co management care post operatively for LRI’s, cataract, and corneal transplant procedures, and I currently work in a primary care setting which allows me to perform everything from routine eye and contact lens exams, to foreign body removal and management of care for dry eye and other common chronic conditions. I am so excited to join this practice and honored to be working alongside Dr. Stamboly. I am very passionate in providing quality eye care to all and helping educated patients on all preventive care to help preserve their future eye health. As a close neighbor to the community I am ready to be your provider and serve your needs. I look forward to seeing you soon! Dr. Stamboly earned his degree from the State University of New York College of Optometry in NYC after receiving his BS from Georgetown University. He returned home to the central NY area, settling in Syracuse for sixteen years, where he was the senior optometrist in a multi-disciplinary medical group practice. He served as a Deputy Examiner for the New York State Board of Optometry from 1983-1993. He is a member of the American Optometric Association and the Georgia Optometric Association. Shortly after his relocation to Atlanta in 2000, he purchased Eye Etc. Dr. Stamboly is an advocate for an active lifestyle and its many physical and mental health benefits. He has been an avid runner for many years, highlighted by his completion of eight Boston Marathons. He also enjoys biking, landscaping and hardscaping, travel and dogs.